Trespass is a privately owned sportswear brand with their headquarters located in Glasgow, Scotland…an excellent place to test what they create. Trespass was first established in 1938 as a manufacturer of work wear and outerwear. 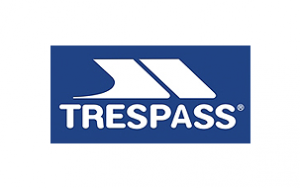 The Trespass brand itself was created in 1984. Today they have more than 120 shops in the UK not to mention the rest that are dotted around all over the world! Trespass has been making clothes for over 70 years. So when it comes to outdoor clothing! They design performance clothing to be used in the outdoors, so whether you’re up hills, on mountains, on snow or in rain, it’s safe to say that they have got it covered! Designed for men, women and children, their clothing boasts stylish designs as well as excellent value for money.